Phonics activities for /ow/ and /ou/. 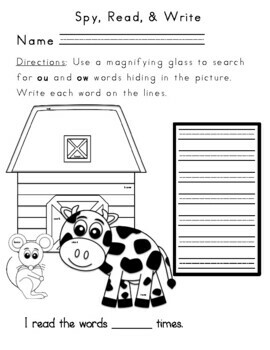 Includes a story for students to read and find/ highlight ow and ou words, a word sort with ow/ ou words, and a spelling activity with ow/ ou words. 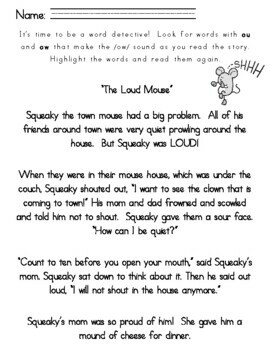 This packet is also part of my PHONICS BUNDLE!